Prepare the paste adding little water and keep aside. Heat oil in a handi and add star anise, bay leaf to it. Saute a while. Add chopped onions and fry for 2 mins. Add ginger-garlic paste and chopped tomatoes. Mash the pulp. Add grounded paste and chopped vegetables. Add 1/4 cup water and cook for 2-5 mins. Add coconut milk and soaked rice. Cook for another 2 mins on low flame. Add 3 cup water and salt to taste. Cook it covered for 10-15 mins. If it is little watery, then keep it on dum for 2 mins and switch off the flame. Serve hot with raita. 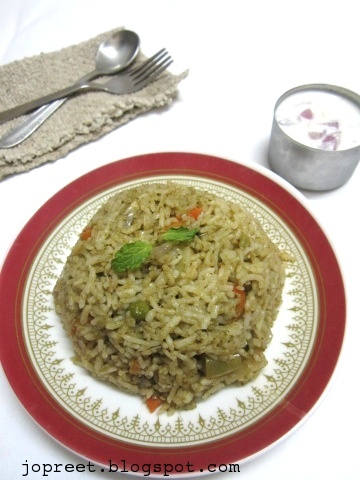 very aromatic and delicious one pot meal…looks so yumm!! A very tempting dish, looks great with the raitha..
Great for weekends to have it hot with a raitha. 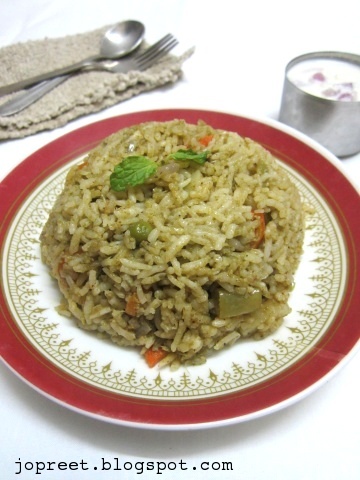 Delicious and easy rice recipe Preeti. Yummy, I like this rice. It must be full of tantalizing flavours. Very appetizing! 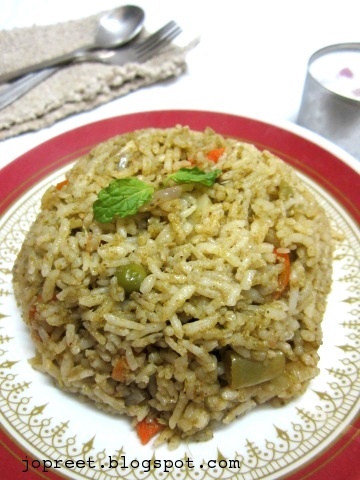 Super flavourful and inviting rice. Please add it along with other vegetables. I will update it.